Bushell Place is named after Dr William Bushell. The houses were built as a speculative development in 1832 on land belonging to the trustees of Bushell’s Hospital in Goosnargh. The houses are large but appear small from outside because they were built as a uniform two-story row and are single fronted. In 1851 the 15 houses in Bushell Place were staffed by a total of 29 resident servants. 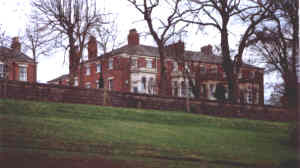 The houses of Bushell Place and the retaining wall of Avenham Walk. The bay windows were added later and were not part of the original 1832 construction. 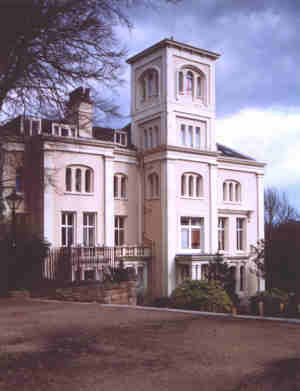 At the end of Bushell Place there are three Stuccoed Italianate villas built in 1847, Tower House, Avenham Tower and Avenham Lodge. Avenham Tower was once the home of Edwin Henry Booth, the founder of Booths, a successful local grocer. 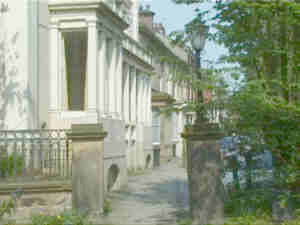 Bank Parade, a terrace of mid-19th century houses runs at right angles to Avenham Walk. Built at different dates from about 1840, by different people and in different styles, it finished up as a row. Among the few features which they have in common are large cellars, connected by tunnels under the road to the gardens on the slopes below. In 1851 there were 13 houses in Bank Parade and 24 resident servants. Joseph Livesey the founder of the Total Abstinence movement (Teetotal), in 1834, lived at number 13 for many years until his death, at the age of 90, in 1884. He fathered 13 children and established the Preston Guardian, the forerunner to the Lancashire Evening Post. He was also one of the founders of The Insitution for the Diffusion of Useful Knowledge. 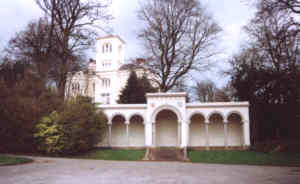 The Belvedere, immediately to the west of the Walk was removed from Miller Park in 1873 to make way for a statue of the Earl of Derby. The site of the Belvedere was formerly occupied by a stationary steam engine which pulled wagons up the steep Avenham Incline slope from the river.